Godard: Fiction! Constantly coloring hair the same shade over time leaves the hair shiny and reflective. 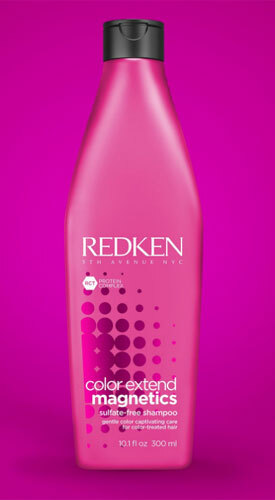 This is why Redken’s Shades EQ, a demi-permanent haircolor that delivers color, shine, and condition, is our best friend. Godard: Fiction! Do a swatch test using color-protective versus non-color protective shampoos and the results will be apparent. The UV filters and ceramides found in the shampoo’s formula are crucial for color protection. Godard: Fact! Let’s kill the myth that dirty hair is better. Fresh hair will color better with more even results, better grey coverage and increased longevity. “Dirty” hair is only good if you are going to be doing a global lightening with lightener. The natural oils will help protect the scalp from being agitated from the lightener. Godard: Fiction! Once the color reaches its maximum processing time, the chemical process stops, and yes, with continued shampooing it will eventually fade, but there will be no difference between waiting three hours or waiting 24 hours post-service. See? The truth behind professional haircolor isn’t so scary after all! 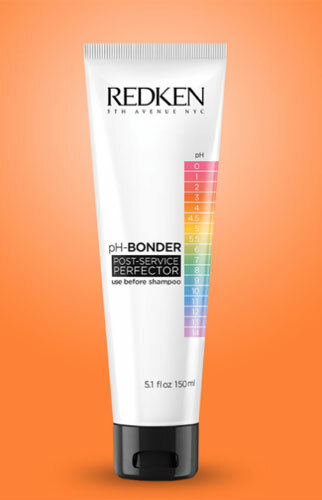 For even healthier results, pair Redken professional haircolor with pH-Bonder during your next appointment, and preserve color at home with Color Extend Magnetics.